Focusing on residential wiring, Liam's Electric can provide all your home wiring needs. We specialize in all applications of residential electrical work. Accurate knowledge of our trade combined with ability is what makes us true professionals. Trained and experienced in problem solving, we can effectively troubleshoot those hidden problems and perform the repairs needed with an economical solution. Licensed in Annapolis, Anne Arundel, Prince Georges and Montgomery counties, we're here for you, and we'll keep you connected! 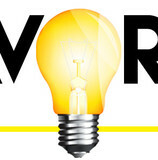 Endeavor Electric is a family owned and operated, Howard County based business. Our mission is to provide excellent craftsmanship combined with the BEST customer service around. With over 15+ years of experience, master licenses in both Maryland and Virginia. At Baldissera Electric, we are focused on providing electrical services with the highest levels of customer satisfaction & we will do everything we can to meet your expectations. With a variety of offerings to choose from, we're sure you'll be happy working with us. Master Electrician with 30+ years experience in residential service and remodel work. Friendly, fast and responsive. Eric's Electric Service Pros "Bringing light to your home" 24/7 EMERGENCY SERVICE! Call 240-366-7767(Pros) Maryland state licensed and insured. Lic # 3841 Our Service areas: Howard, Frederick, Carroll, and Anne Arundel counties. Eric's Electric Service Pros, a licensed electrical contractor, is dedicated to helping you with all of your electrical projects. Serving Howard and surrounding counties since 1994. The owner, Eric Fries, has been an electrician for 33 years. He graduated with honors from the Independent Electrical Contractors apprenticeship program at Prince George's Community College. Eric and his apprentices always strive to keep up with the ever changing electrical industry by taking electrical code update courses as they become available. 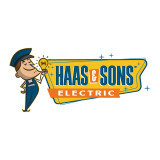 Bossom & Son Electric Inc.
Weisman Electric Company is located in Annapolis, Maryland. We are a family owned and operated company, and have been in business for just under 30 years as a full-service electrical Contractor, serving all of Maryland and parts of Northern Virginia. The foundation of our company is built on more than 60 years of experience in Residential and Commercial New construction, tenant improvements and renovations, emergency generator systems, power quality & UPS systems, electrical service work, and custom-home electrical wiring. We use state-of-the-art, computer-generated estimating equipment and take-off tools to ensure accuracy and competitiveness. Our management team consists of highly trained professionals who know what it takes to keep any project under budget and on schedule. 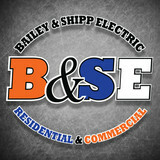 For the last 30 years we have been providing the highest quality electrical services in the area. All of our trucks are equipped with smart phones and GPS systems. This ensures constant communication between the field and the office and also enables us to respond quickly to any emergency situation. We also have trenchers, backhoes, drilling & excavating equipment, a 45-foot bucket truck, scissor lifts, generator rentals and cable locating equipment to ensure any project gets done efficiently and effectively. 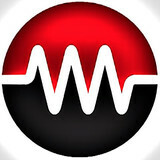 Weisman Electric is an authorized dealer and certified service provider for Briggs & Stratton, GE, and Generac emergency generator systems. We stock the most common parts on our trucks and in our warehouse to ensure a quick turn around on all repairs and services. In addition, we offer residential and commercial generator maintenance plans for added security and peace of mind. It's easy to say you're the best. How do you go about proving it? At McLean Electric Company, we let our longevity do the talking—along with our standing in the Better Business Bureau (BBB) and the National Fire Protection Association (NFPA). 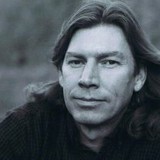 Customer referrals work well too! If you'd like to learn more about why the electricians at McLean Electric Company can be trusted to work on your home or business, we'd be happy to provide all the assurances you need. For over 30 years and two generations, Clinton Electric Co., Inc. has been the premier electrician for the Greater Baltimore area. Since 1969, we have taken great pride in providing excellent service to over 50,000 loyal residential and commercial customers in Baltimore City. Headquartered in Timonium, we proudly serve Baltimore County as well as Harford, Anne Arundel, Carroll and Howard Counties. With over 80% of our business coming from repeat customers and referrals, we take that as a great vote of confidence in our company! What do licensed Springfield electricians do? An electrical contractor plans, installs and repairs wiring in structures. He or she works closely with the home’s general contractor or remodeling contractor to determine the specific electrical needs for the project and to ensure that the wiring will meet Springfield, VA building codes. An electrical contractor’s job also includes installing and repairing fixtures, switches and other visible components of electrical systems. With today’s technological needs and advances, many electricians in Springfield, VA also are trained to install fiber optic and coaxial cables for electronic equipment. Certain electrical companies may design and install data systems and wire for security features such as alarms too. Some Springfield electrical contractors specialize in specific areas, such as HVAC, low-voltage appliances and systems and more, so be sure to ask about their training to see if it fits your project needs. Find a certified Springfield electrician on Houzz. Narrow your search in the Professionals section of the website to Springfield, VA electrical contractors. Here are some related professionals and vendors to complement the work of electricians: Lighting Showrooms & Sales, General Contractors, Solar Energy Contractors, Heating & Cooling Sales & Repair.